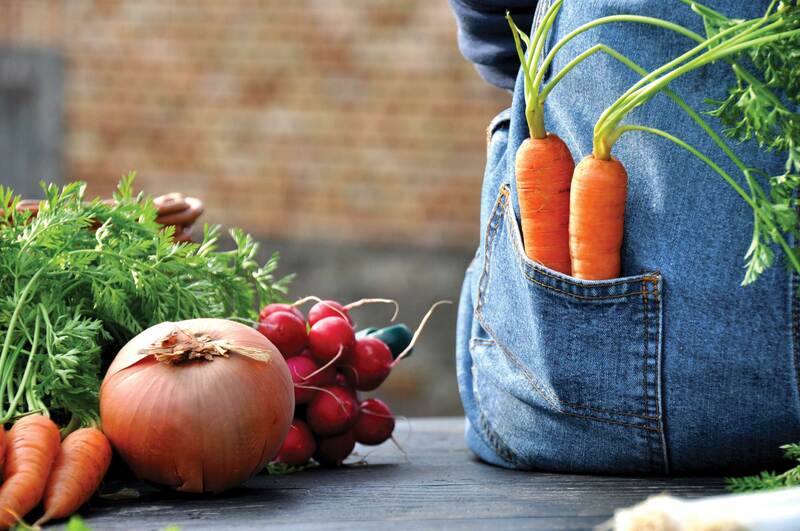 A sustainable future needs skilled, knowledgeable and passionate new farmers and gardeners. 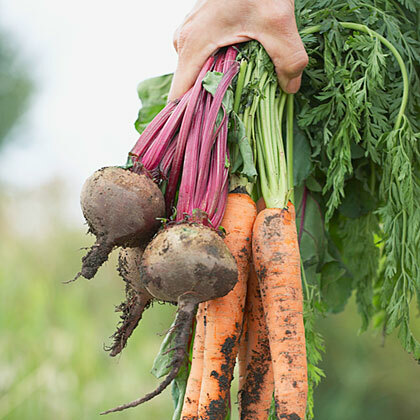 The Crossfields Institute Level 3 Diploma in Biodynamic Farming and Gardening provides a two-year training which combines the development of practical skills alongside the development of deeper understanding which is needed for a new generation of farmers and gardeners. This training is designed along the lines of a classical apprenticeship, combining practical and theoretical learning with the aim of building confidence and resilience in producing high-quality food in a way that works cooperatively with nature, just what is needed to make the world a better place. Sustainable agriculture offers solutions for current challenges and potential for positive change in areas such as climate, environment, health, and economics. This training prepares students to be part of this positive change in the world. 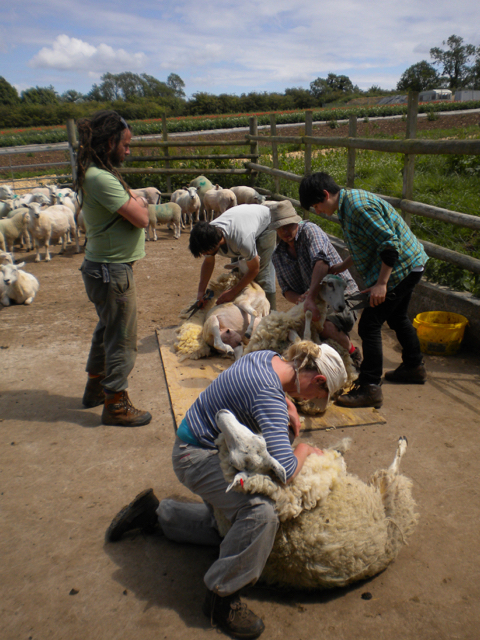 By working alongside experienced practitioners and being actively involved in the management of a biodynamic/organic farm or garden, students gain the ‘on the job’ skills needed to run a production enterprise. Alongside the development of practical skills, students take seminars during the winter months when the practical work is less busy. These courses bring students from all over the country together to consider biodynamic principles, aspects of a farm and garden and how these can work together harmoniously with nature. They include classroom and outdoor teaching, artistic activities and plenty of discussions. Students have more than 30 teachers each with a professional background that offers students insight into many different areas of expertise. These complement the practical experience gained in day-to-day work, offering the opportunity to work meaningfully in creating practical solutions for the future. 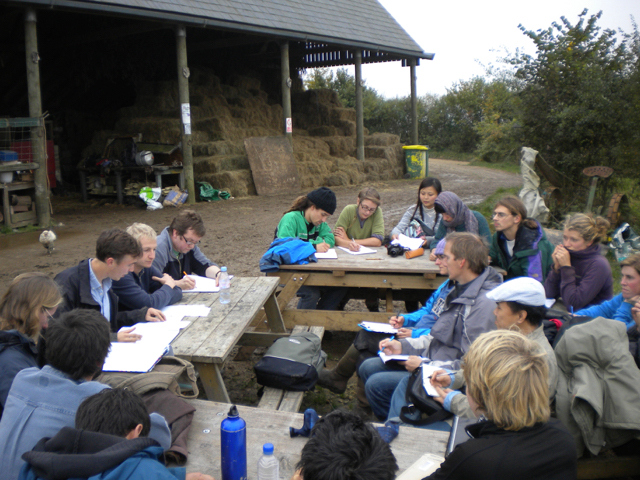 With more than 20 years experience in the provision of agricultural education, we are pleased to offer this unique professional training, the only certified level 3 diploma in the agro-ecological sector in the UK. The Diploma in Biodynamic Farming and Gardening is an Ofqual Regulated qualification awarded by Crossfields Institute. It was designed as a collaboration between the Biodynamic Agricultural College and Crossfields Institute to be delivered by BDAC and is endorsed by the Biodynamic Board of Studies and the Biodynamic Association. Crossfields Institute assures the quality and standard of the training and assessment offering a meaningful and internationally accepted vocational qualification. Really, the training is not expensive. Consider, you are getting a thorough education without causing debt. Seminar days are cheap compared to most other training schemes. Your training is unique, its: professional, certified, comprehensive, holistic and covers biodynamic, organic and permaculture aspects. Our training rewards the work placements with grants to ensure their commitment to train you, which is halve of your BDAC fee. Students identify a work placement in a farm or garden from the list of training centres below. When you begin the work placement you become an employed trainee at the training centre which includes a contract with the farm for working hours (usually 35-44 hours per week with seasonal flexibility) and a wage (all farms pay at least minimum wage). These wages should be enough to cover your living expenses and the cost of your training (which is a £500 initial payment followed by 24 monthly payments of £450). These payments include all the costs of your training on and off the farm: 40 days of seminars, accommodation and lunches during the seminars, personal support, quality assurance, registration and assessment. There is no specific date for starting the training, this is usually done in negotiation with the training centre and although it is often most convenient for a training centre to have new students joining in Spring or Autumn, enrolment for the diploma course are welcome throughout the year. The seminars are on a continuous rotation and are flexible to meet students’ needs. T.N. I think at the beginning of the training my expectations were fairly wide, really, I just wanted to make a living working on the land, gaining experience which would enable me to have a career that I enjoyed which was outside. I did, however, plan to use the biodynamic apprenticeship as a step to get onto the herbal medicine degree course which I am now on, and the biodynamic course definitely helped me match the criteria required by the college, as I needed some kind of level 3 training, and the esoteric side of biodynamics was relevant for the holistic side of herbalism. It has continued to shape my professional life choices, I am now also studying Astrology with the Faculty of Astrological Studies, and the week on Astronomy really spurred me on to do that. I am also starting to incorporate Alchemy into my studies with an aim to correspond it with the astro-herbalism, and that was largely inspired by our course with Jonathan Code. Studying biodynamics was an amazing way to learn some of the key principles of Alchemy, there seems to be a lot of correspondences. In the long-term, I want to start a cottage business of a biodynamic herb garden to make spagyric tinctures. The Biodynamic training has really helped me define what I love and am passionate about in life, and what I really want my life to be about. The very things that drew me to the apprenticeship in the first place were the spiritual, esoteric aspect of biodynamics, and that is now what I am following. I definitely feel my work on the farm gave me a real sense of the way the landscape changes and is alive. The work on the farm was certainly challenging, it really pushed me with what I am capable of, both emotionally and physically. I look back, and I’m really proud that I did it, and that I tried and worked so hard at something that I found so difficult. I now go back to the farm twice a year for preparation days, and I can have a really good relationship with Jo, and know that all the work paid off. Through the influence of the training, I’ve stepped into a whole new life that I love, subjects that I really love that sustain and fulfil me. F.M. I was wondering what’s the best next step for me to take in signing up to do the bio-dynamic apprenticeship? The first step is to contact some work placements of your choice from the vacancy list at our website. Make contact describe yourself and what you are looking for and why. Take time to visit those possible placements too, best spend a trial period. When you have agreed on a start date at one of our registered work placements you register with us. Then you will receive detailed training information and your first invoice after you have started your placement. Note questions to clarify with placements – see below in this section. Would I be living, eating, sleeping at the farm for the year and its all paid for through working? This varies from farm to farm. Most work placements offer accommodation on-site. Some help you to find local accommodation off-site. Some placements offer shared lunches. The cost for these are also varied, please, explore and clarify at the relevant placement. Note questions to clarify with placements – see below in this section. Can you clarify the price and how it is paid for? The price for the BDAC work-based training is £500 when you start your training, followed by 24 months of £450 by the end of each month (after you should have received your monthly employment payment at the work placement/farm). £500 + £5400/year (2xyears) = £10,800 for the total training and diploma costs. Your employment income is at the minimum wage (from April 2019) of £7.70 (21-24 years age), £8.21 (25 and older) for 48 weeks per year (4 weeks you will be at BDAC seminars with accommodation, teaching and lunches provided by the BDAC), you will be working between 35-44 hours per week. Almost half of the training fee the BDAC returns to ‘your’ work placement/farm to pay for your work placement training. The rest covers BDAC seminars, portfolio assessments, quality assurance, individual support and visits at your work placement, registration and certification costs, general admin and course development. However, some placements remunerate your work, by paying all your living and training expenses incl. pocket-money. Really, the training is not expensive. Seminar days are cheap compared to most other training. Your training is unique, its: professional, certified, comprehensive, holistic and covers biodynamic, organic and permaculture aspects. Our training rewards the work placements with grants to ensure their commitment to training you, which is halve of your BDAC fee. Consider, you are getting a thorough education without causing debt. I would like to inquire about how the £450 monthly payments work, please could you send me information about this. Out of your monthly salary, you will be able to pay 24 months £450 to the BDAC by setting up a standing order with your bank. Do you have semesters? In other words, do students get a break after months of education? Or is it a full 2-year education schedule without any break? The work-based training is not college based. You are based at your work placement for two years. Each year in autumn one week, in January two/three weeks and in March one week all students from all over the UK and Ireland come together for seminars. The classroom-based seminars are at different locations to offer a range of local farm visits. Therefore we have no semesters. You will have a number of holidays during your work placement (about 27 days per year, incl. Bank holidays). Your education is classroom-based during seminars and practical based during your work placement. Could you give some information regarding accommodation? What are my options? Your accommodation is deferent from work placement to work placement. It could be a caravan, room at the farm or room/flat in the local area of your work placement. You need to find out what is on offer or possible at the individual placement. Costs, therefore, will range. Accommodation at seminars is paid for by your monthly payments to the BDAC. Usually, they are one- or two-bedrooms. Note questions to clarify with placements – see below in this section. Would it be an option to start at the beginning of December? Yes, you can start in December, then your first seminar would be in January. The seminars run continues and your last one would be in autumn two years later. You can start at any time of the year. However, when you can start depends on your work placements requirements/possibilities. You need to make relevant arrangements with your work placement. – How many hours work per week? (hourly minimum wage payment depending on your age: 25 and over £8.21; 21-24 £7.70). – What are the weekend and holiday arrangements? – What accommodation is on offer and what are the costs? – What arrangements are there for food? Are there any shared meals? Can one get free/cheap farm/garden produce? – What will the work be? – What will you be able to learn?